Paris, France’s capital, is a major European city and a global center for art, fashion, gastronomy and culture. Its 19th-century cityscape is crisscrossed by wide boulevards and the River Seine. 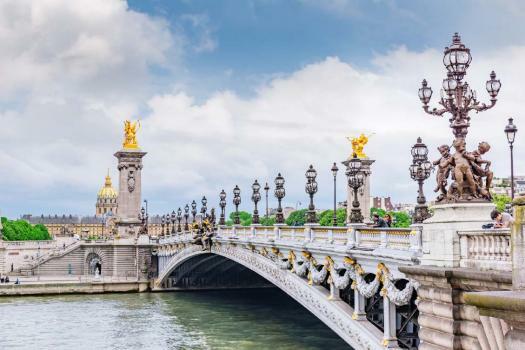 Beyond such landmarks as the Eiffel Tower and the 12th-century, Gothic Notre-Dame cathedral, the city is known for its cafe culture and designer boutiques along the Rue du Faubourg Saint-Honoré. Paris is indeed the perfect setting for romantic moments as its beauty strikes you at every corner, with its elegant yet impressive architecture, delicious world renowned cuisine and subtle combination of art, history and nature. Go Places Holidays have a special 3 Nights and 4 Days couples Itinerary that will create everlasting cherished sweet memories. Some of the romantic activities included on your trip are the Seine River Champagne Sightseeing Cruise and The Paris Chocolate Walking tour.